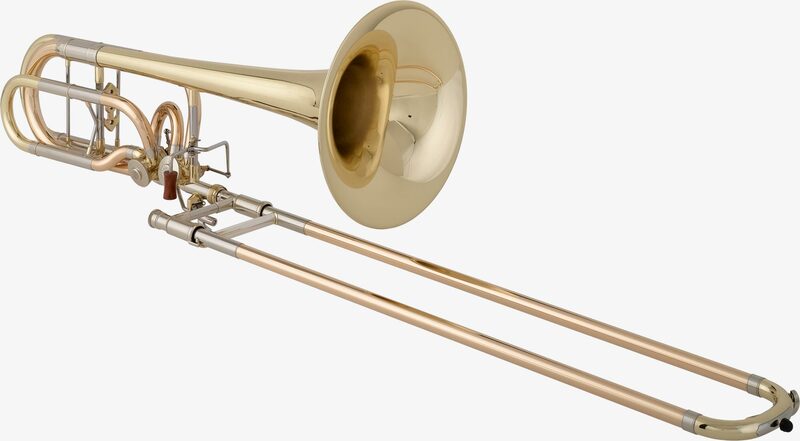 Professional Bass Trombone in .562" or .562"/.578"
Our customers have been asking for a Rotax bass trombone for quite some time. After years of development, we’re happy to announce that the B502 is now ready for purchase. We’ve been testing it in the marketplace for over a year. In that time, refinements have been made to our original designs. As we continually strive for perfection, we reserve the right to make changes to the B502 (and all of our horns). Our goal when building the B502 was simple – to maintain a consistent sound throughout every register. More to the point, we wanted that sound to be “trombone-like”, especially in the mid and upper registers. Gone are the WOOFTONES of the 90’s. This horn has plenty of clarity and sparkle, allowing you to express your musical ideas no matter the setting. 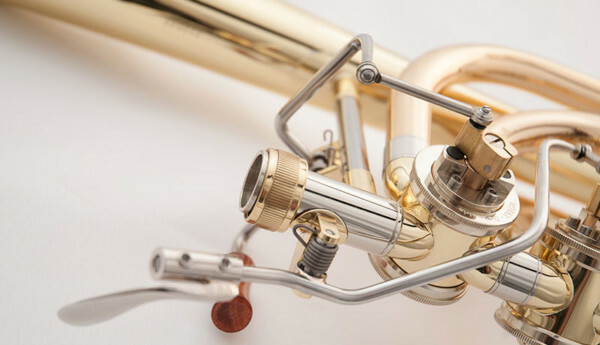 B502’s with yellow bells have rose brass valve wrap tubing which provides some brilliance when played at louder volumes. You’ll also be amazed at how resonant this instrument at softer dynamics. Many times, an instrument can become “small” when played softly. This results in a distant sound for the listener. We overcame this tendency through numerous sessions with the incredible talent we’re fortunate to work with in their home venues. Each B502 bell is spun by single craftsman who has learned from previous generations of bell spinners. 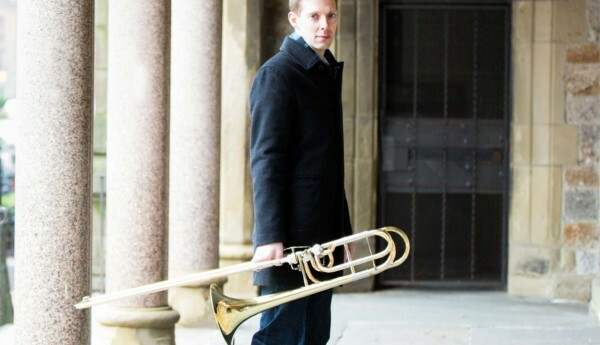 Two-piece in construction, the proprietary 502 bell underwent stringent testing in the St. Louis Symphony, the New York Philharmonic, and the Boston Symphony Orchestras to bring a truly unique bass trombone to the demanding musician. Each slide is built to match inner to outer slide . No stress within the build ensures consistent resonant and easy blow. Every brand claims this, we deliver. Within the build we carefully match the blend of metals to make sure every instrument is tonally balanced to the individual. The highest quality of material is sourced and tested to ensure what you purchase is representative of what is "professional". The Rotax valve is an integral part of the B502 design. It is machined to the standards demanded by Willson Instruments; as a result, the Rotax is the highest quality rotor we've seen. 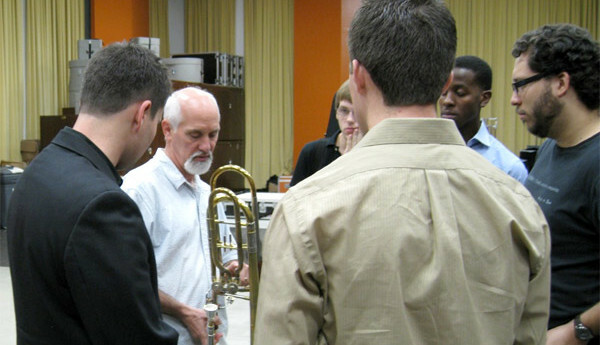 From a player's perspective, it responds quickly and helps produce a wonderful bass trombone sound. Quick to develop without exploding, we work to make every note develop as quickly as possible into a resonant event that people will notice.